A family of six drowned inside a van while they tried to escape Hurricane Harvey’s floods in Texas, KHOU-TV reported. 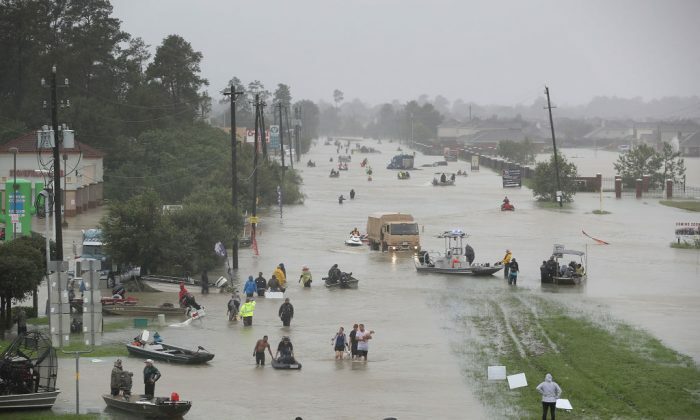 The report stated that the family tried to escape in a white van, relatives told KHOU, which noted that it’s the deadliest Harvey-related incident so far. The victims include four children under the age of 16 and their grandparents. The driver of the vehicle, identified as the great-uncle, managed to escape. The van was going down Green River Road in Greens Bayou when floods inundated it. The van was swept in a current. The driver told the kids and grandparents to get out through the back door, but they were unable to do so. A 16-year-old girl, a 14-year-old boy, an 8-year-old boy, and a 6-year-old girl died. There were first responders there—but they were unable to get to the victims in time. Five other people died in the hurricane. 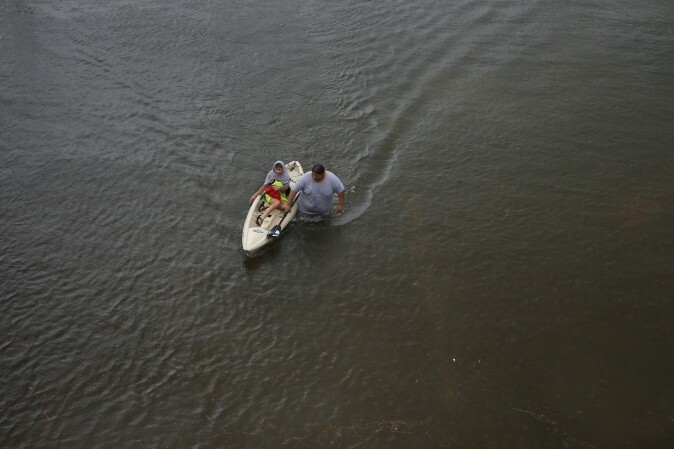 On Monday, the National Weather Service said that flooding will likely get worse. Barbara Koster stands on her front door as she surveys her property. The U.S. Army Corps of Engineers said Monday that it’s releasing water from the Addicks and Barker reservoirs, according to reports. 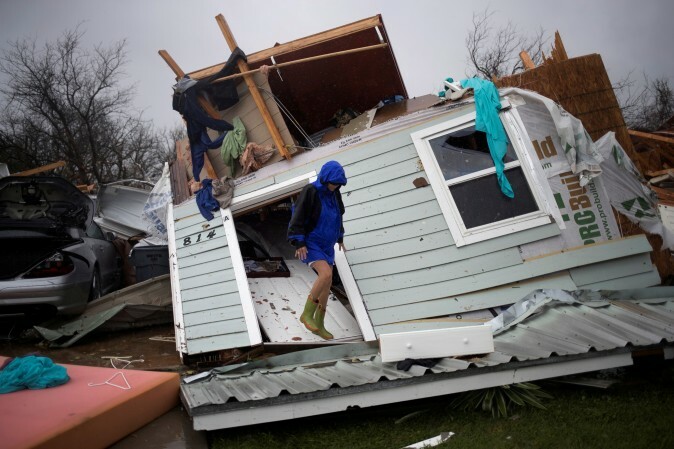 Jesus Rodriguez rescues Gloria Garcia in Pearland, in the outskirts of Houston. “If we don’t begin releasing now, the volume of uncontrolled water around the dams will be higher and have a greater impact on the surrounding communities,” Col. Lars Zetterstrom, the Corps’ Galveston district commander, said in a statement. “It’s going to be better to release the water through the gates directly into Buffalo Bayou as opposed to letting it go around the end and through additional neighborhoods and ultimately into the bayou,” Zetterstrom added. 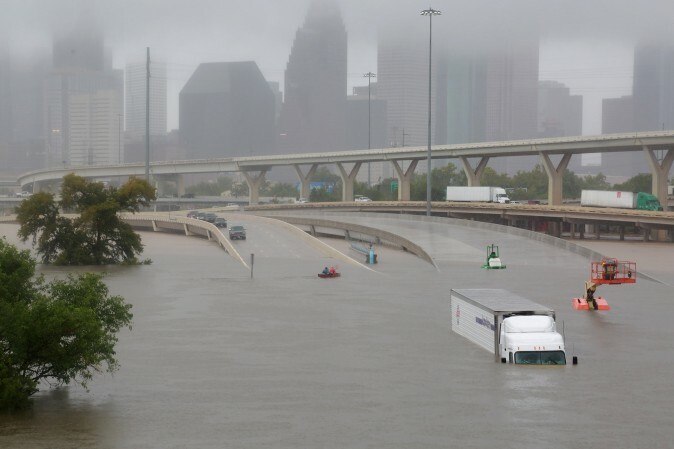 By the end of the week in some Texas coastal areas the total precipitation could reach 50 inches (127 cm), which is the average rainfall for an entire year, forecasters said, Reuters reported.